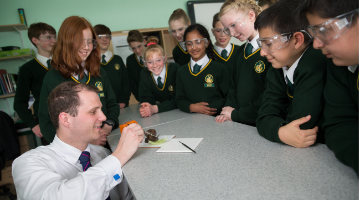 Taster Days 20 and 27 June 2019: please click here for information. 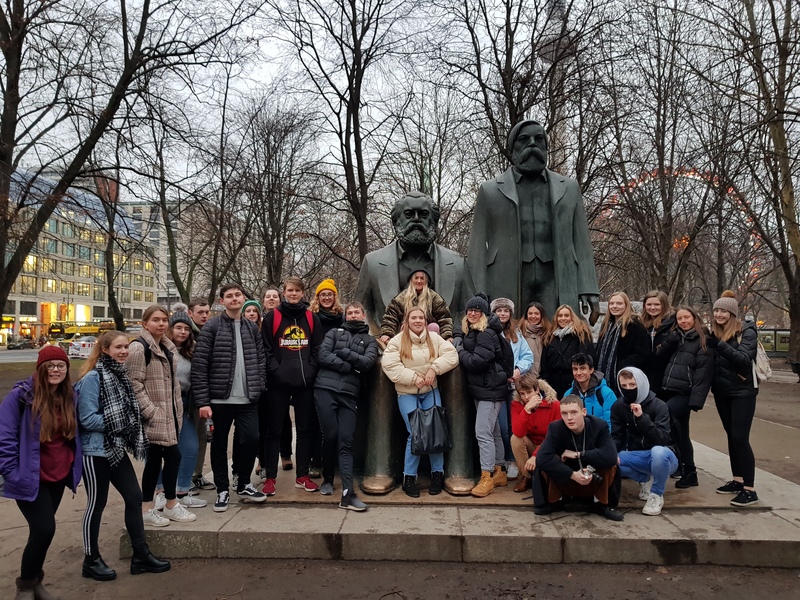 History lessons for a group of Year 13 History students from Hardenhuish School have become even more interesting now that they are able to use the first-hand knowledge they picked up during a recent trip to Berlin. 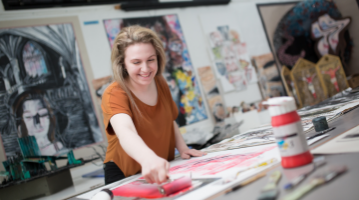 The four-day visit not only reinforced the impact of the Cold War on the city of Berlin and for European relations, but it also gave them the opportunity to explore a wide breadth of historical sites and cultural elements. During the trip, the students visited landmarks including the Kath Kollwitz Mother and Child statue, the Jewish Memorial, the Book Burning memorial in Bebelplatz and statues of key German leaders like Bismarck and Frederick the Great. They also visited the Jewish Museum, the German History Museum to get a foundation knowledge of German history and the Reichstag building where they explored the political ideas set out by the Weimar Republic in 1918 and how German politics work today. During their visit to the Sachsenhausen Concentration Camp, the students read poems to commemorate those lives lost during the Holocaust. This was made even more moving by the bitter cold that was a reminder of the harsh conditions that inmates would have experienced in the 1930s and 40s. 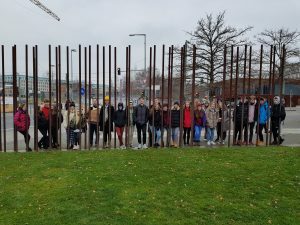 The third and final day of the trip was Cold War-themed and started with a visit to the East Side Gallery, a section of wall which has been preserved close to the actual East-West border and is now used as an outdoor art gallery. 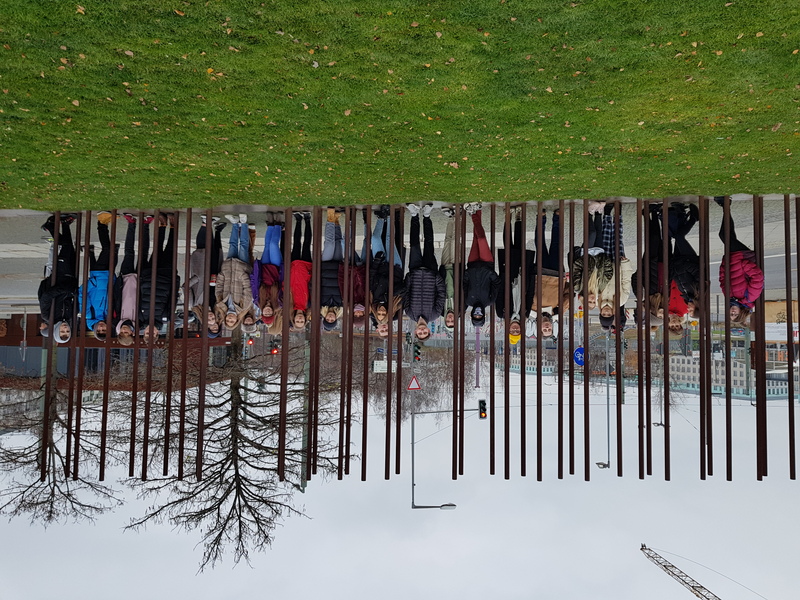 The students then went onto Checkpoint Charlie, the Black Box museum, the Berlin Wall Memorial, the DDR museum, the TV Tower and, finally, Potsdamer Platz for the Christmas Markets.